Personal interaction will encourage your campus community to pay attention and act on your emergency notifications about a crisis. How do we get people to realize a situation is urgent? Standard industry advice is to communicate, communicate, communicate. Now we have mobile alerts, social media, E-mails and even sirens on our campuses. 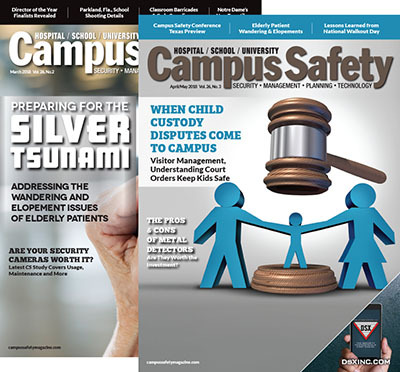 But with our message-overloaded-lives, many campuses struggle to get their stakeholders to simply notice safety messages. If people notice these emergency notifications, the next challenge is appropriately conveying a sense of urgency. None of us like hearing the same thing over and over again. We quickly get annoyed with people who send us multiple E-mail reminders. But in an emergency, we don’t mind that redundancy. We actually want the information, and if we don’t get it, we start looking for more. The problem is that when we are first notified about an emergency, we don’t know if it is serious or affects us. We are busy, and the notification is just another interruption in our day. 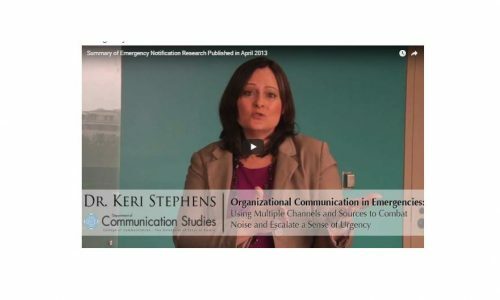 Over the past three years, our research team in the Department of Communication Studies at The University of Texas at Austin has examined how to reach people in an emergency. We have studied the notification patterns and mix of technologies that help people understand a situation is urgent. We recognize that people get multiple messages during an emergency. Our research asks how people are notified first, second and third, and determines when they realize a situation is urgent. We have used surveys and focus groups to explore this new multi-technology notification arena. 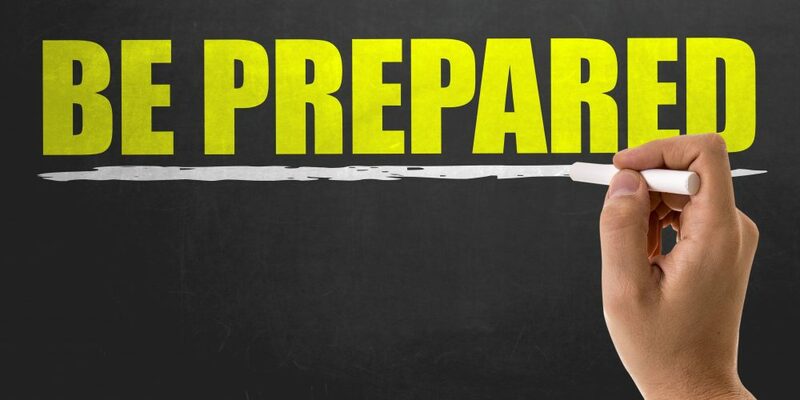 From this research we offer the following advice on keeping communication personal and helping stakeholders realize the urgency of a situation. Using text messaging, E-mails and sirens can be a quick way to reach stakeholders, but just because we sent the message doesn’t mean it was received. People are busy and even if a quick glance of their mobile device suggests there is a problem, they might not act. Recipients of safety messages often question the importance, legitimacy and relevance of our messages. This is especially true with mobile stakeholders who might not be in the affected area. We need them to realize when situations are urgent. They need to stop what they are doing and pay attention. Our data show clear trends that urgency increases between the first, second and third notification. So people seem to grasp the sense of urgency with repeated messages. This finding supports much of our current knowledge about using all communication channels to reach people in an emergency. But our study digs a bit deeper and looks at how to get people to realize urgency more quickly. Having a human explain that a situation is urgent captures attention faster than having a mobile device vibrate. Now if that mobile device keeps vibrating or dinging, most people will eventually notice it, but people can use the tone of their voice and their body language to convince others that they need to stop what they are doing and pay attention. In our research, we found that people who receive one of their first three notifications from another human — via phone or face-to-face conversation — realize the urgency of the situation faster than people who get three text messages. Some stakeholders are mobile or not a part of your core organization, and reaching them is very difficult. People riding the bus or driving to campus cannot be easily tapped on the shoulder. Organizations need to reach these stakeholders through mobile devices, social media and broadcast media like radio and news. 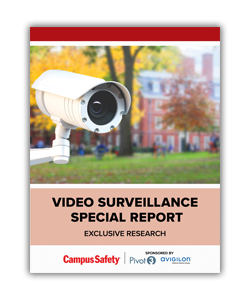 Our research finds that the location of your stakeholders (on campus, off campus or traveling to campus) affects how they learn about an emergency using different types of technologies. Many of them will not have contact with another person during the notification process. 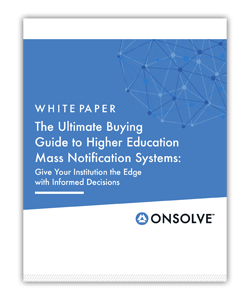 Even if all their notifications occur through technologies, people can eventually reach the same level of urgency as including a human in the process, but it takes a little longer. Most text messaging systems and even social media like Twitter restrict the number of characters available to share a message. These character restrictions force emergency planners to give careful thought to how messages are crafted. Having only 140 or 160 characters is tough, and emergency personnel might be tempted to use jargon and abbreviations. The problem is that not all stakeholders understand terms like “shelter-in-place.” It’s only a few more characters to say, “Stay where you are and don’t move.” More complete explanations can reduce chaotic reactions as people try to understand brief instructions. Clear, jargon-free messages are another way to create a more personal message. 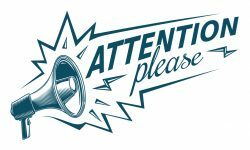 When crafting the content to include in a brief message, remember that most stakeholders have little to no information about the emergency. If the campus is large, the location of the incident seems to be a top concern. After sending that first message, keep communicating. If you don’t provide people continual information, your stakeholders will turn to social media and other sources to learn more. One of the growing trends in thinking about emergency planning and response is to make stakeholder communities resilient. Creating practices where stakeholders know one another and trust each other is important for quick action in an emergency. In our research, many campus stakeholders discuss the important role that their co-workers play in helping them decide if a situation is urgent. 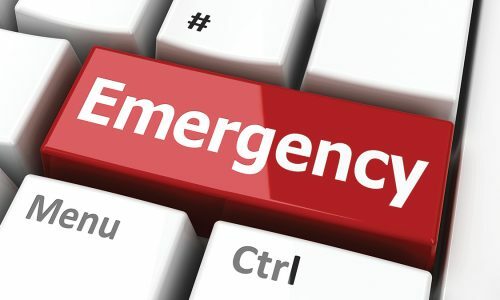 Quite often one coworker will actually direct peers to read an E-mail or verify the message by checking out the emergency response home pages. Coworkers encourage their peers to use a mix of technologies to verify information and understand the urgency of a situation. These information-sharing practices can help build community resilience. We also see these behaviors in community stakeholders that aren’t affiliated with our campus. Groups of businesses swap mobile phone numbers and walk into one another’s stores to check and verify suspected emergency information. This is a personal approach to campus safety that can extend beyond the boundaries of a specific campus. Many campuses are in a constant state of learning about new notification tools, languages and practices. While technologies help us reach a much broader audience, we must not forget the importance of including in-person and phone communication as a part of a notification plan. But unlike many technologies where messages can be pre-planned, people vary when they communicate messages. Using human delivery of an emergency message is unpredictable. Having a real-time conversation might provide an opportunity for a more complete explanation, but that is not necessarily what occurs. Some people can explain things clearly while others can’t. One productive approach that we see is to encourage people to tell others where they got their information. In many cases, people can say, “Check out the Web site and the E-mail we just got.” As others verify the information, they also realize the urgency of the situation. We can teach this personal approach. 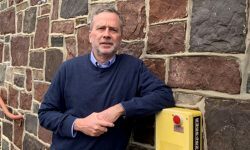 We can train people to go tell others when there is an emergency. We can also train people to show others where they got their information, and that helps legitimize their call to action. 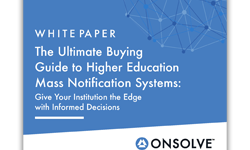 As we adopt new technologies to help us expand our notification practices, we should not forget that people still play a central role in campus notifications. Our research suggests that people can tell others about an emergency and create a sense of urgency more quickly. Keri K. Stephens and Jessica Ford are researchers at the University of Texas at Austin. This article was originally posted on Oct. 10, 2014.